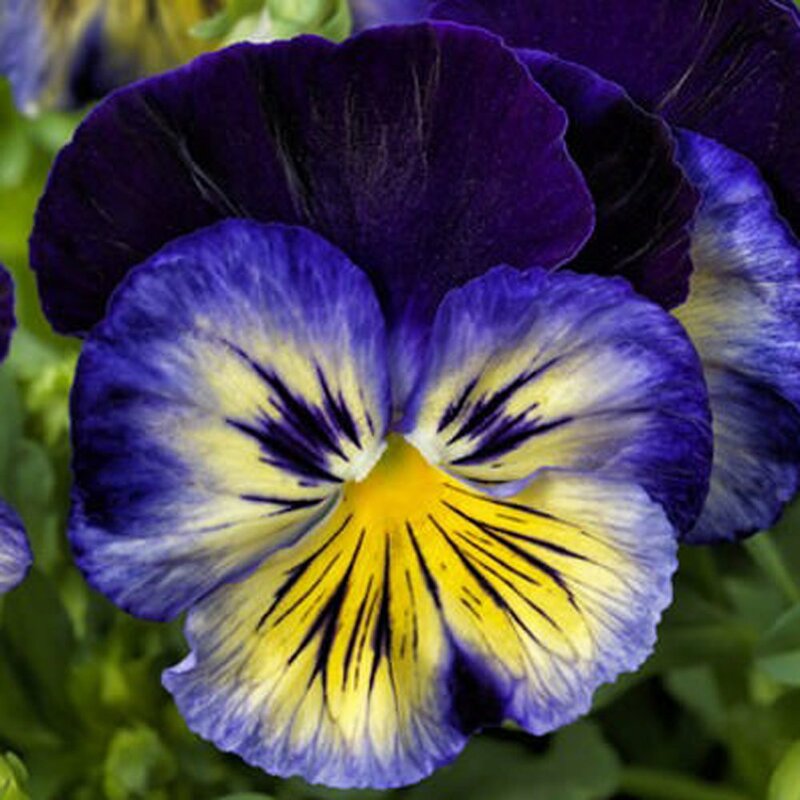 Classic pansy beauty in a mix of royal blue and sweet yellow, with veining on the 'face'. Extra early bloomer for spring color. Great for edging paths or large plantings for bold effect. Comment: These were ordered on a Tuesday and got to me the following Thursday, in Bush Alaska, along the Yukon River. This was great shipping, and the plants were well protected.The plants were well established with healthy roots, leaves and even a few flower buds. I really appreciate being able to order these starts, as our growing season is short and I can always count on the quality.